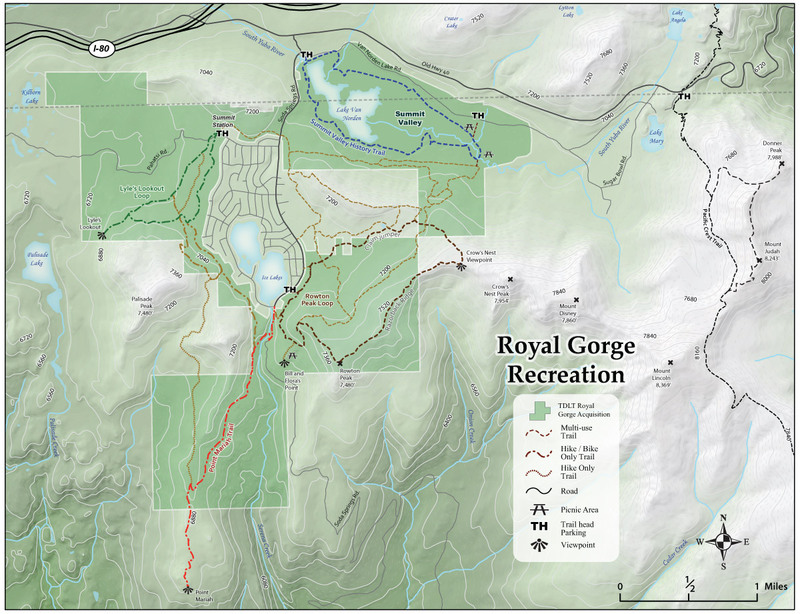 Many of the best trails on the summit are in an area known as the Royal Gorge area because they were once owned by the Royal Gorge cross country ski resort. The trails are now under the stewardship of the Truckee Donner Land Trust (TDLT). Below is the TDLT trail map that includes many of the trails in the area. The Google trail map below includes all of the trails in the area.